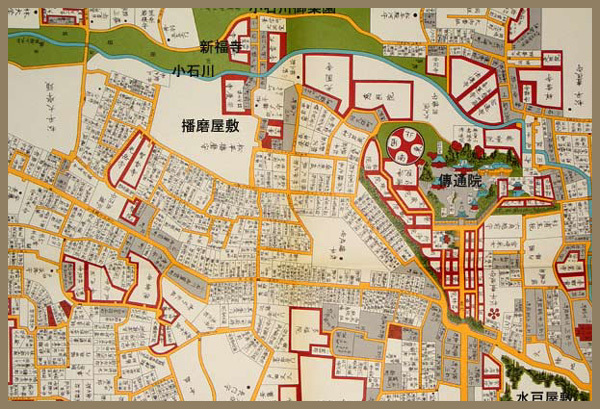 Tokyo is based upon an orｔography of seven hills and five corresponding valleys, the intersection of which necessitated specific responses in spatial planning and gave the city its physical form. The seven hills include the highlands of Ueno, Hongo, Koishikawa-Mejiro, Ushigome, Yotsuya-Kojimachi, Akasaka-Azabu, and Shiba-Shirogane. The valleys of Sendai-Shinobazu, Sashigaya, Hirakawa, Tameike, and Furukawa weave in-between the highlands, giving the city a bi-fold distinction. 白山 Hakusan with 5 sub-districts. The Hakusan Shrine is in the 5th district. 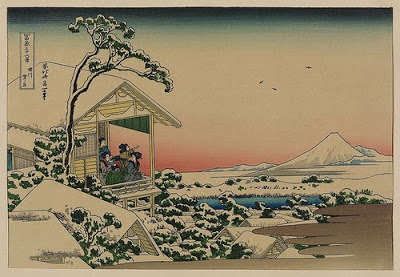 Once the 3rd Shogun Tokugawa Iemitsu was hunting with hawks in the hills of this area, a wilderness of sorts. When the hawk was set free, it flew away in great speed. Iemitsu tried hard to follow it and saw it disappear in a valley. He stretched out (sashi) his finger and called "this valley, this valley" (ya). Hence the name of the valley was born "finger-pointing valley". And soon after, around 1634, farmers settled in the valley. In 1747 the growing village was put under the jurisdiction of the Machi Bugyo Magistrate. 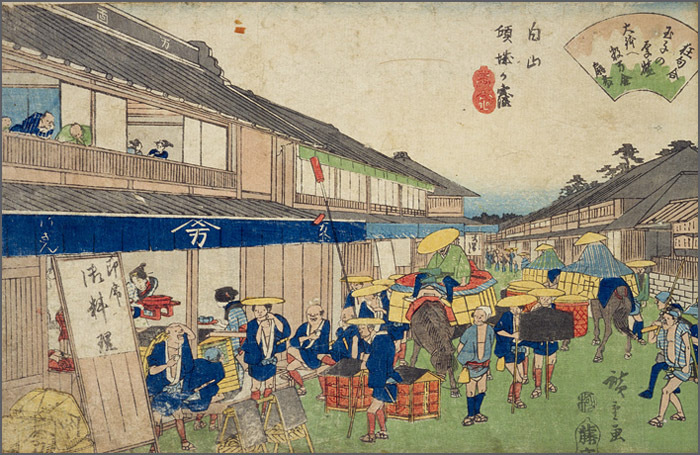 In the Muromachi period, this district was known as 小石河 Koishkawa. There were many small rivers (kawa) with small stones (koishi). There was later even a river named Koishikawa. It used to be a ward of its own, 小石川区 Koishikawa ku, until 1947.
. 後楽一丁目・二丁目 Kōraku, Koraku .
. 小日向一丁目 - 四丁目 Kohinata .
. 水道一丁目・二丁目 Suido, Suidō .
. 千石一丁目 - 四丁目 Sengoku . Koishikawa (小石川) is a locality within Bunkyo, Tokyo. It is located nearby with the same name are two well regarded gardens: the Koishikawa Botanical Garden (related to Tokyo University) in Hakusan, and the Koishikawa Korakuen Garden in Korakuen. The construction was started in 1629 by Tokugawa Yorifusa, the daimyo (feudal lord) of Mito domain, and was completed by his successor, Tokugawa Mitsukuni. 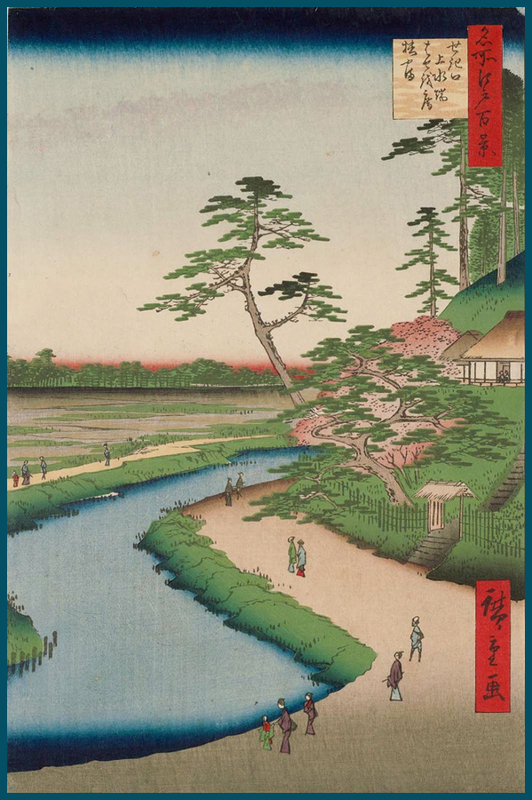 Mitsukuni named this garden "Kōraku-en"
(Kōraku means "enjoying afterwards") after a Chinese teaching of "a governor should worry before people and enjoy after people". 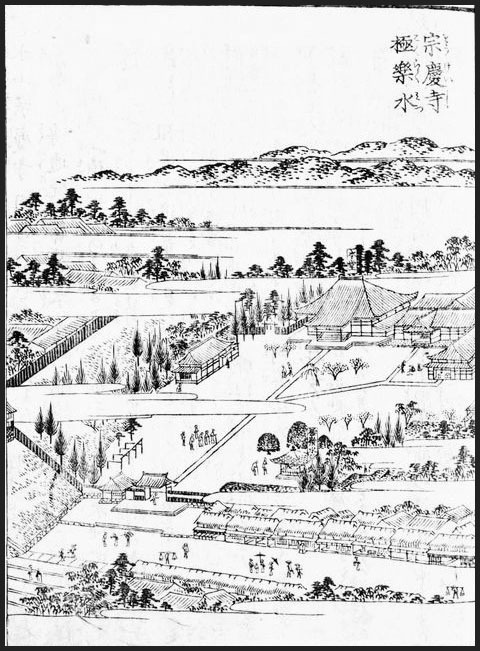 The garden shows strong Chinese character in its design, as it was influenced by the West Lake of Hangzhou. 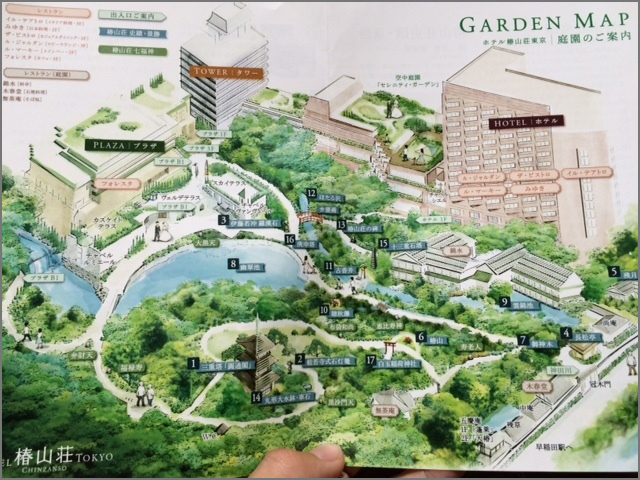 are botanical gardens with arboretum operated by the University of Tokyo Graduate School of Science. 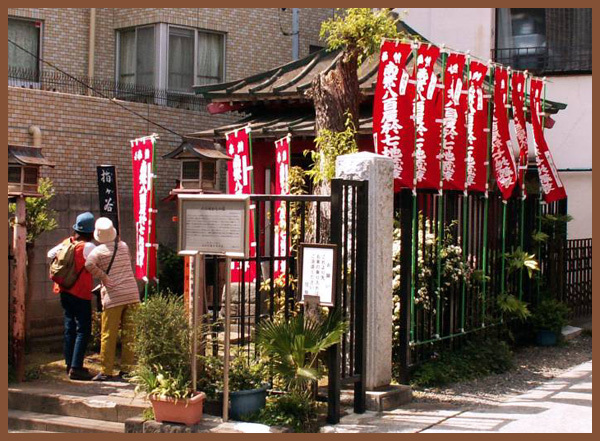 They are located at 3-7-1 Hakusan, Bunkyō, Tokyo, Japan, and open daily except Mondays; an admission fee is charged. 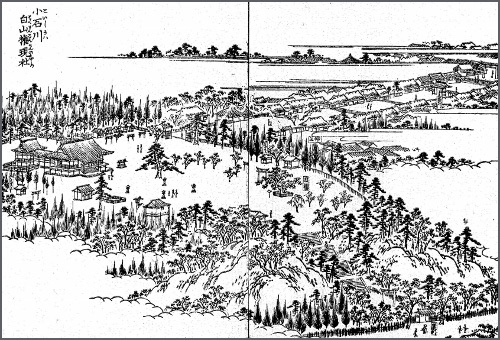 The gardens date to 1684, when the 5th Tokugawa shōgun, Tsunayoshi, established the Koishikawa Medicinal Herb Garden. In 1877, after the Meiji Restoration, they became a part of the university and the birthplace of Japanese botanical research. Today research activities are focused on the evolution, phylogenetic systematics, and physiology of higher plants. ... The 小石川養生所　Koishikawa Yojosho, an early Japanese hospital, was established within the herb gardens by the eighth shōgun Tokugawa Yoshimune in 1722.
. Koishikawa Denzu-In, Dentsu-in, Dentsuin 小石川伝通院 Temple .
. Koishikawa 小石川養生所 Koishikawa Yojosho Hospital .
. Matsuo Basho in Koishikawa 松尾芭蕉 小石川 . A part of Old Edo with the atmosphere of Shitamachi. The name "White Mountain", refers to the Shrine located in this district. This shrine was under the patronage of the Edo Bakufu government. The second Shogun Hidetada moved the Shrine from 本郷一丁目 Hongo first district to its present location near the 御薬園 Go-Yakuen Garden for medicinal herbs, part of the Koishikawa Botanical Gardens.
. 東京十社 Tokyo Jissha - ten important shrines of Tokyo .
. Hakusan shrines 白山神社 in Japan - Introduction . he Hakusan-jinja Shrine was relocated to its present position when 5代将軍綱吉 the 5th Shogun Tsunayoshi was the head of the Tatebayashi Clan, and the Koishikawa Goten (a stately mansion at Koishikawa, also known as Hakusan Goten) was constructed at the site of the ruins. The mansion drew water from the Sen-kawa River and was surrounded by a moat and was said to have been a very picturesque site. After the death of Tsunayoshi, the residence was abandoned, and in 貞享年間 the Jokyo Era (1684-88), the 小石川薬園 Koishikawa Yakuen (a garden for medicinal herbs) was established on the site. At present the site is The University of Tokyo affiliated 小石川植物園 Koishikawa Botanical Gardens. The Nakasendo Highway branch off of the Nikko Highway at 駒込追分 Komagome-Oiwake passed through Hakusan, and the area was commonly called 鶏声ヶ窪（傾城ヶ窪） Kaiseigakubo. It is said this is because the sound of a bird crying was heard every morning in 下総古河藩下屋敷 the Shimosa Koga Clan villa, and when the location the bird cry was heard from was dug up, 金の鶏 a golden rooster was found.
. kinkei 金鶏と伝説 Legends about the golden rooster .
. Yaoya no O-Shichi Greengrocer's Daughter Oshichi . and the Big Fire in Tenna' or 'Oshichi-fire'. (December 24, 1859 – October 6, 1954) was a liberal Japanese politician, born in modern-day Sagamihara, Kanagawa. Ozaki served in the House of Representatives of the Japanese Diet for 63 years (1890–1953). He is still revered in Japan as the "God of constitutional politics" and the "father of the Japanese Constitution." The name refers to the Mejiro Fudo with white eyes. It used to be in the temple 長谷寺 Hasedera, which burned down. The White-eyed Fudo was then relocated. A white horse was born in the Shoguns stable at that time as an auspicious sign. The area is an old residential neighborhood and a school zone. Ootsuka 大塚 Otsuka "big mound"
It used to be a farming region in Koishikawa village. The name refers to an area of flat fields, in the middle of them was a large mound, a 古墳 Kofun. 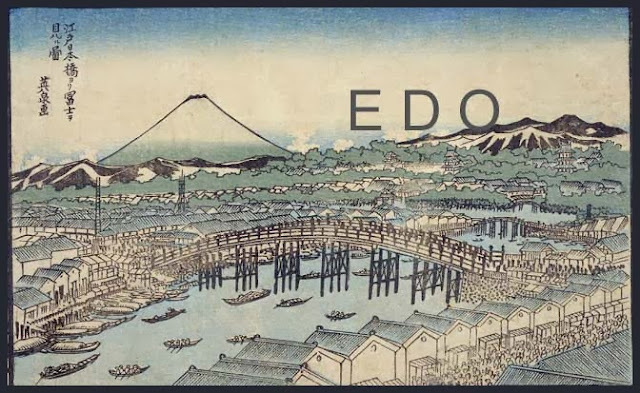 The first houses of Edo city dwellers were built around 1630. 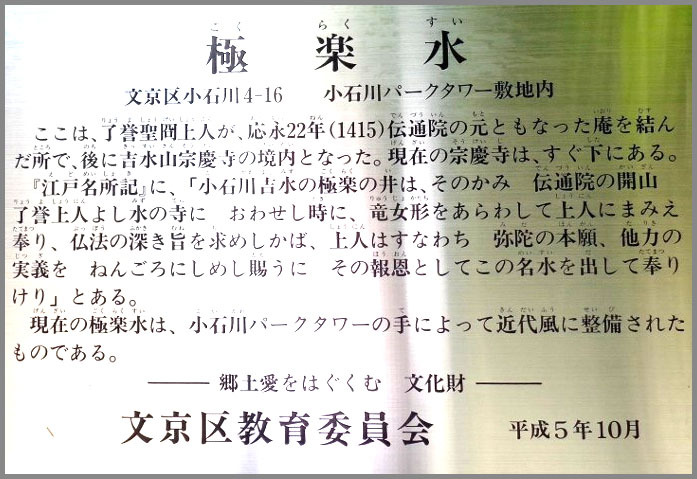 In 1717 it came under the jurisdiction of the 町奉行 Machibugyo.
. kofun 古墳 burial mounds in Tokyo . of the place where the 神田上水 Kanda Josui canal crossed the river 江戸川 Edogawa (神田川 Kandagawa. During the Kamakura, the 宿坂の関 Shukuzaka no Seki barriere gate may also have contributed to the name. 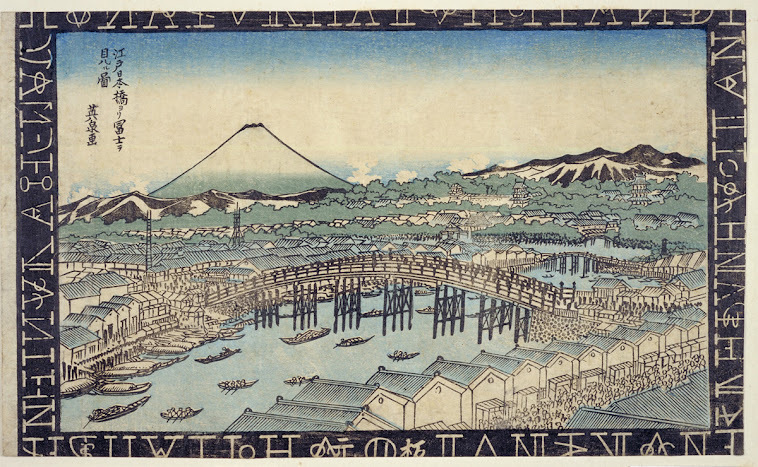 The weir was lost in 1933.
. the many waterways of Edo .
. Tamagawa Josui - Edo's Water Supply . Welcome to Hotel Chinzanso Tokyo, a luxury garden oasis in the heart of Tokyo. 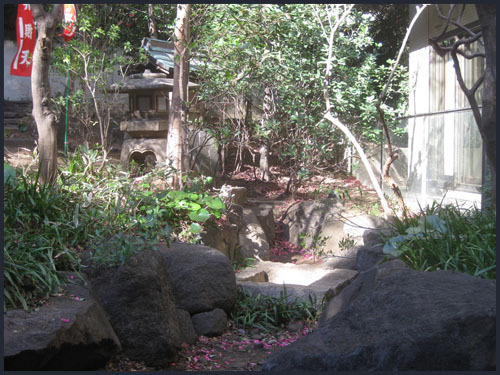 Our gardens were formally established in 1861, in what we called the Meiji era, but it is said this area was already appreciated as beautiful camellia hills with a long history dating back some 700 years. You can relax in your room overlooking our vast Japanese garden. The novelist Satō Haruo 佐藤春夫 Sato Haruo (1892 - 1964) had his residence in the third sub-district. a Japanese novelist and poet active during the Taishō and Shōwa periods of Japan. His works are known for their explorations of melancholy. He won the 4th Yomiuri Prize. At 江戸の関口 a place named Sekiguchi in Koishikawa, Suijin 水神の社 the Deity of Water was venerated in a shrine. In the river in front of it, there grew a lot of makomo まこも wild rice. Once the arrow maker 宮こ弥兵衛 Miyako Yahei passed there and sawa a bright light. It was a huge toad, its back almost as wide as a tatami mat. He became quite afraid and run home. He became ill and had to stay in bed for seven days.
. makomo 真菰 / まこも wild rice. .
. Denzuuin 伝通院 Denzu-In, Denzuin, Dentsu-In . - with many legends ! In the year 1826, a 14-year ofld child named 高橋千吉 Takahashi Senkichi lived at the 小石川三百坂 Koishikawa Sanbyakusaka slope. He observed 15 snakes who had cuddled up together, with an old shining coin in their middle. Senkichi stretched his arm and got the coin. 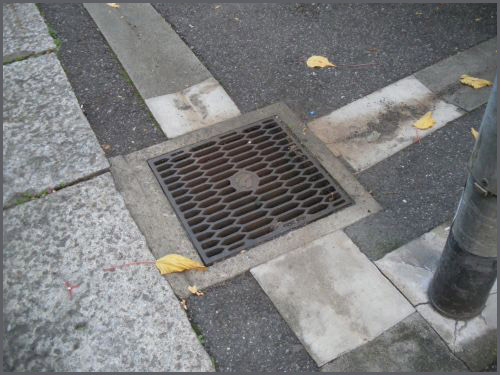 Other people told him to throw it away, but Senkichi insisted he had done no harm to anybody. So the others told him that his grandmother had once taken a jewel out of a group of serpents and hoped to become rich for the rest of her life. The home of a rich merchant caught fire many times, but nobody was found who had done this. A mountain priest performed purifying rituals and suddenly a girl began to cry "I am so afraid, so afraid!" and suddenly disappeared with her mother. Next morning they found the dead bodies of the two in the nearby moat. They must have been the arsonists. a traveling monk of the Pure Land Sect. When Saint Ryoyo stayed at the temple Sokei-Ji, there appeared a "dragon woman". Ryoyo received the blessings and 菩薩戒 a Bosatsu ordination from her. She had come from the 極楽井 Gokuraku well. Gokurakusui 極楽水 “Paradise Water" is a name of a well in the Koishikawa district of the Bunkyō Ward. It was part of Sōkeiji Temple and was known to have delicious water. The well has dried up and is perservd only as a landmark. Once their lived a 同心 police officer who could shoot with bow and arrow. His name was 長蔵 Chozo. His mother had once received special manju 饅頭 buns from her mistress and kept them as a memento. A few days later they had changed into some red and white pebbles (小石 koishi). Inside was something red - this must have been the relics of Buddha.
. Bunkyō 文京区 Bunkyo ward, "Literature Capital" .